1. Awakening– Awakening is the realization that you are more than just a human and you are here to accomplish more than just being a slave to the system. Awareness arises when your codes are activated with photonic light in order for you to begin to realize who you are and what you came into this lifetime to accomplish. 2. Vibration– All matter is energy. Atoms are electrons oscillating back and forth at a certain frequency. The measure of speed of this frequency is known as vibrational density. We are awakening to the need to raise our vibration from a third dimensional frequency to a fifth dimensional frequency. 3. Soul– the ethereal substance or spirit particular to a unique living being. The soul is immortal and its energy can be seen around the physical body as the aura. The soul is an aspect of energy consciousness from a larger essence of a monad and has a personality that continues to exist after “death” of the physical body. The purpose of your soul is evolution through the guidelines of Universal Law. 4. Higher Self– The higher self is the ethereal high vibrational mental aspect of your soul that serves as liaison between your soul and your monad. Discovering how to communicate with your higher self as a guide is essential in the spiritual awakening process. Going within is the method of finding your higher self. The truth and answers to any question can be answered by your higher self and is a vital part of discernment. 5. Monad– The monad is the “oversoul” which created the aspect of consciousness of your soul. A monad consists of a male and a female aspect, and when incarnating into a lower vibrational density these two split up and continue to split further into lifetimes. Imagine a wooden wheel of a bicycle where the hub is the male or female part of the monad and the spokes are the aspects of soul consciousness, or lifetimes. All lifetimes of the monad occur in the “now”, outside of space and time, and the experiences of all parallel lifetimes can be accessed by each soul once the connection is recognized and strengthened. 6. Creator/Source– Creator is a term used to describe “all that is” within our experience. The Creator of everything is an energy source that created angels and dimensions and then sent forth aspects of itself (Creator is both male and female) into the lower vibrational dimensions in order to have experience and to know itself. These monad aspects then sent forth parts of themselves as souls as so on. Creation is infinite and cannot be fully understood in third dimensional thinking. Regaining the knowledge that you have an aspect of Creator within the human body is the most important awakening realization. 7. Dimension/ Multidimensional– The Creator created dimensions in order to experience various vibrational levels because it is so big that it cannot experience it any other way. A dimension is a specific frequency of vibration. All dimensions are connected and overlap each other and all dimensions are interdependent upon each other, which describes the term multidimensional. There are many levels within each dimension. 8. Soul Group/Soul Mates– When Creator created monads it created them out the rays of its white light. When this light is differentiated it becomes the colors of the rainbow. Monads were split into groups of colors known as rays. For example a blue ray monad will have a purpose or characteristics different than a green ray monad. Blue ray monads have more in common and vibrate at the same rate as other blue ray monads, thus they are naturally attracted to each other. Furthermore, monads split into souls and vibrational groups are formed within each soul. These souls incarnate together in order to help each other spiritually advance. Soul mates from a particular soul group recognize each other when they meet in this lifetime. A soul mate may incarnate as your mother or father in one lifetime and then they may switch it up to be the daughter or son in another lifetime. They could be husbands and wives or they are an influential person in your life that helps to balance a past life energy or lesson. Soul mates from a soul group love each other so much that they may have volunteered to be a difficult aspect of your lifetime, which is a blessing in disguise as these lessons catapult you higher on your spiritual path. 10. Spirit Guides – In addition to mapping out our Blueprints before coming here, we make sacred contracts with entities on the “other side” to watch over us, protect us, help and advise us, through this earthly journey we have chosen to undertake. These are our spirit guides. The spirit guide’s job is to urge, encourage, nudge, support, advise and guide us on our life path. Spirit guides send you messages, often through your subconscious mind. What you have always accepted as instincts or your conscience or unusually vivid dreams are your spirit guides sending you messages. Spirit guides and all other transcended spirits are either male or female. Spirit guides can also be higher vibrational aspects of yourself, or parallel lives. Spirit guides are always ready and waiting for you to contact them but cannot interfere otherwise because of the Law of Free Will.The most intimate of these advisers helps us to conceive and review our blueprint with us and is at our side every step of the way from incarnation to “death”. Besides this dedicated guide, we have other guides that can come and go depending on their specialty advisory field. Every one of us has a guide that is someone we were very close to and trusted with our soul. All spirit guides have spent at least one lifetime on Earth. Because of this, they are able to empathize with the mistakes, problems, fears and temptations, all the frailties we encounter in the human world. 11. Guardian Angel– Creator first created the angels to mirror love back to itself. This was how it would get to know itself as ultimate love. These angels have a great desire to serve Creator in any way because of the great love they have for Creator. Sometimes these angels take on specific assignments in service. Guiding humanity is one way angels can be of service. These angels act as guides but are of the highest vibration of love. Some angels actually do incarnate but most do not. To go forth into a lower dimension, and angel must send forth an aspect of its consciousness, just like a monad does. Angel consciousness aspects are always around us holding the space for the creation of love within our hearts. Angels can create miracles, which is just a way of changing the reality that one experiences into a favorable outcome. Just like spirit guides, your guardian angel is awaiting your recognition and request for service. 12. Twin Flame– A monad is an aspect of consciousness of Source that has a female (yin) polarity and a male (yang) polarity. Upon descending into the third dimension, these aspects get separated although they stay connected on the higher monad level. We are always yearning for our polarity aspect to fulfill a need to be complete; however the experience of separation from our twin flame and our Creator catapults us in our spiritual growth and understanding of who we are. Twin Flames rarely incarnate into the same lifetime because of the need for diverse experience, however recently more twin flames have incarnated together in order to assist each other in ascension. 13. Free Will– We exist in a free willed Universe. This Universal Law allows us the power and responsibility to choose how we define and perceive our reality. Free Will is responsible for the allowance of darkness on the planet and thus throughout the Universe, as Creator gave all souls the ability to create whatever they choose. The greatest irony of free will choice to be other than light/love is the threat of destroying the experience of living in a free will existence. Universes that are not free willed operate through goals and agreements through a group high mind consciousness which gives them direction toward experience. 14. Universal Law– A set of guidelines agreed upon in a particular universe that guides a soul along the highest path of evolvement. It is what defines evolution and existence, and should be the laws of Earth as we move toward higher consciousness. 15. Soul Contract– Before we incarnated, we planned out certain events which would lead us to be able to accomplish things we agreed upon in our soul contract. Some of these things include who are parents or guardians are, what type of socioeconomic situation we will be born into and what energy signature we will have by being born into a particular zodiac sign. There are many people in this lifetime that we made soul contracts with, from our parents to our spouse to our first grade teachers. 16. Incarnation– The act of a soul sending forth an aspect of its consciousness into a physical body. The soul comes into the fetus in the womb of the mother before the baby comes through the birth canal. When a soul incarnates in this manner, it takes a risk of not remembering that it is tied to its Creator. The purpose of reincarnation is to provide an opportunity for soul evolution, however by incarnating a person can get stuck on the wheel of karma. 17. Ascension– Ascension is the term used to describe moving from a lower vibrational consciousness to a higher consciousness. It involves acknowledging standing in your full power of who you are as you co-create the illusion of separation while existing in a high vibrational state of love. It is accomplished by consciously connecting with the tools and experiences of your akashic record held within your DNA with the help of your higher self. This is done by merging and balancing the high vibrational essence of who you are into physical manifestation. More simply stated, ascension is recognizing who you are and connecting to that aspect of yourself by raising your consciousness through vibration. For some people, the main purpose of this lifetime is to ascend. A free comprehensive e-book on ascension can be found here. 18. Life Purpose– A person’s life purpose is the main goal or goals that they chose to accomplish before incarnating. A life purpose can be a career such as the goal of being a famous musician bringing the beauty of music to the planet. It can also be a balancing act such as reincarnating with another soul mate and serving a role in order to wipe the slate clean of karma between the two souls. There can be many tasks involved in a life purpose leading up to a bigger task if all of the other tasks are performed. For example there may be several tasks of awakening and healing involved and if all of them are successfully completed, the end result might be ascension. If a person does not complete a life purpose they usually reincarnate to try again. Understanding one’s life purpose is easier than most people make it out to be, for it is usually what they enjoy doing the most in life. 19. Karma- Newton’s law states that for every action there has to be an equal or opposite reaction. When we incarnate into a physical body and live a life under the veil of forgetfulness, we can incur karma if we do not treat others with the same care and love that we should treat ourselves. Thus we end up incarnating over and over in this school of life to eventually learn the golden rule. This has been termed the wheel of karma and because we are coming to the end of a cycle of reincarnation, transmuting karma in this lifetime is usually one of the main life purposes of many people. Fortunately we have a tool called the Universal Law of Wisdom to help us complete this task by allowing us access to all of the accumulated wisdom we gathered in all of our lifetimes. One of the most important tools of this law is forgiveness, which stops the pattern from repeating and thus neutralizes karma. 20. Chakra- The word chakra is Sanskrit for ‘vortex’ or ‘wheel’. 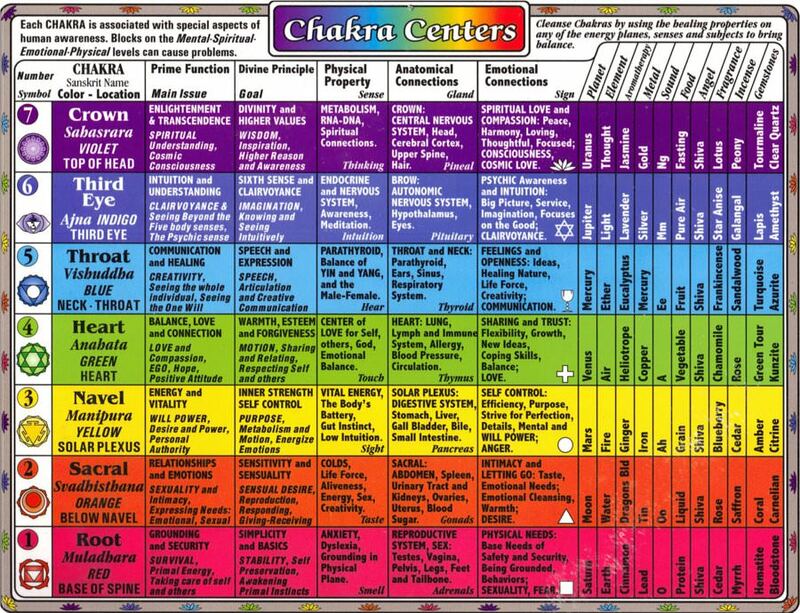 The chakras are energy centers within our physical bodies. There are seven major chakras between the crown or top of the head to the base of the spine. There are many also many minor chakras that regulate energy within the body. Each of the seven chakras correspond to a major endocrine gland in the body and each of them controls specific physical areas and functions. 21. DNA Upgrade– Our DNA is the genetic code that makes up our multidimensional existence. Besides the non physical higher dimensional pattern, DNA contains the instructions needed for a physical living organism to grow and function. DNA is found in the nucleus of every cell in our body except in red blood cells, and is fully repeated in every cell. The dormant strands of the higher vibrational DNA in our cells have been termed “junk DNA” by scientists. One of the goals most of us made in for this incarnation was to receive the DNA upgrade that is available to us as we astrologically move into the Golden Age and out of third dimensional density. This DNA upgrade will open the door to experiencing multidimensional life while existing in a physical body, which is unique to physical beings in our Universe. 22. Meditation– One of the most powerful spiritual tools. Meditation is a ritual that creates a state in which the body is consciously relaxed, and the mind is able to become calm and focused. Preparation for meditation includes grounding, breathing deeply, and asking for spiritual guidance and protection.A goal of meditation is to quiet the left brained thinking (monkey mind) in order to allow for right brained information from higher vibrational aspects of yourself to bring clarity in life. Another goal of meditation can be to have conversations through telepathy with other spirits or guides. Meditation can also be used to clear negative energies and to bring more light into the body. 23. 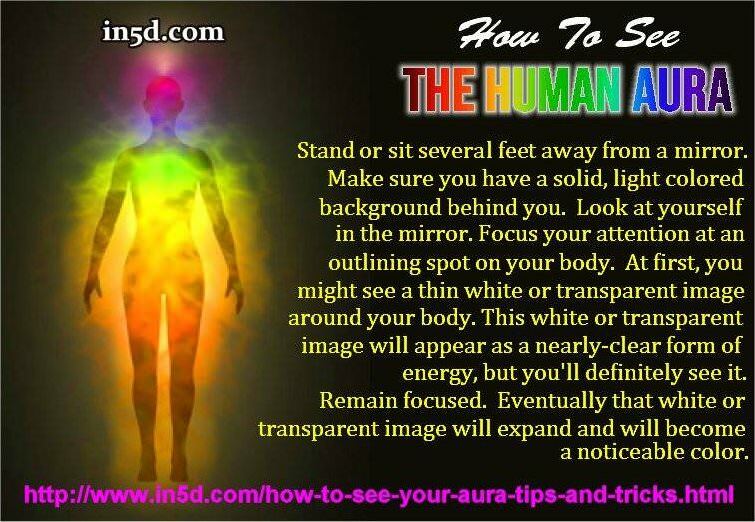 Aura– The aura is the energetic field that is part of a living being. Your inner aura is a reflection of your spiritual health aura and your outer aura is your luminous energy field. Both of these auras emanate from your skin outwards. Your inner aura will expand anywhere from 6 to 12 inches (15 to 30 centimeters) from your body while your outer aura will extend several feet from your body. Depending on what emotional state you are currently experiencing, your aura will transform itself into a color that matches the emotion. 24. Spiritual Protection/Clearing– Our spirit guides and angels can provide spiritual protection from interference in our energetic field as we progress on our path to a higher vibrational way of existence. Part of the learning process of this lifetime involves being subjected to low vibration in order to learn how to identify, transmute, and clear lower energies that may exist in our auric field. These energies may have been a part of a past life that we carried forth into the next lifetime and cannot be carried forth into the fifth dimension, or they may be hitchhiking entities that can sneak into the auric field through fissures. The clearing of these energies is necessary in order to move into the vibration of love of the fifth dimension. Once they are cleared, asking for protection from other lower vibrational energies and entities helps to continue to raise one’s vibration. A guided clearing meditation is one way to clear and protect. Water is an excellent cleansing agent when infused with love and intention, and sea salt baths with baking soda can also assist with cleansing. Crystals are also an excellent way to clear and protect, as they can absorb and transmute energies. 25. Merkaba– “Mer” means Light, “Ka” means Spirit, and “Ba” means Body. Mer-Ka-Ba, or “chariot of ascension”, means the spirit/body surrounded by counter-rotating fields of light. According to Drunvalo Melchizedek, the merkaba field is a permanent and highly ordered Merkabic structure of inter-connected electro-magnetic counter-rotating energy spirals (wheels withint wheels)that exist as an integral part of all creation. The activation of the merkaba field within our bodies will allow us access to the higher dimensions through consciousness. The activated merkaba field looks like a multi-colored spinning orb. 26. New Earth– This is the term used to describe the fifth dimensional Earth that will be accessed through the shift toward ascension. The requisite for experiencing a New Earth will be the vibration match according to the Law of Vibrational Attainment, as the New Earth will be vibrating at a fifth dimensional frequency. 27. Forgiveness– Forgiveness is an act of kindness that we may extend to ourselves or another in the process of healing. Forgiveness is also an important part of transmuting karma between other souls. Ho’oponopono is an ancient Hawaiian code of forgiveness used to correct the things that went wrong in a person’s life. Forgiveness can be achieved either face to face, by silent thought and intention, or by writing a letter and burning it as a way of ritual. Forgiving yourself is a high vibrational way of loving yourself and is important in moving up the ladder of spiritual ascension. 28. Love/ Loving Yourself– Love is the highest vibration attainment. Love is all there is, literally, as it is the vibration of our Creator. Loving yourself is an important part of healing stuck energies as we move toward fifth dimensional existence. As defined by the Law of Attraction, when you love yourself you open yourself up for being able to receive love. By receiving love, we are able to exist in a love vibration in alignment with the New Earth. 29. Gratitude– On the spiritual path, gratitude goes hand in hand with attracting abundance. Everyone should give thanks for the abundance and lessons of opportunity one receives in life. The power and vibration of gratitude can be defined in the way it can affect water in Dr. Masuru Emoto’s article “The Miracle of Water”. . Gratitude is one of the highest vibrational acts of love that a person can exhibit. Giving thanks can be achieved by intention and prayer and is best verbalized. 30. NDE/Life Review– A Near Death Experience (NDE) can occur when a person’s spirit leaves the body and crosses over to the other side and then returns to the body to live another day. NDE stories are useful in realizing that our souls do not die upon the death of the physical body and that we are spirits having a physical human experience. This helps a person transmute the fear of dying which is an important aspect of spiritual progression. People who report about NDE’s often talk about having a life review which is a movie of everything that has happened in their life. This brings about the realization that everything we do is important is our life and is recorded in our akashic records. We are the judge during a life review and part of spiritual wisdom includes realizing that we can atone for our actions now thanks to NDE experiences that have explained life reviews.